Local devolved Administorium have recorded "...the Hlýss are inquisitive and greedy for magical devices and weapons, and occasionally sail forth in their hive-like ships (made of the same bodily secretion) to seek items of interest and food for their young. Each nest-ship and each settlement contain at least one of their huge breeder-females—the ‘Hlýss-Mother’." The fossil record shows the evolution of the Hlýss to have predated the discovery of the Acheron (LV-426) xenomorph (rf: secretions-construct / hive-mother / morphic resonance) by 4 years. If you're not aware Kevin Adams (the miniatures sculptor) was attacked in a viscous assault and robbed in his own home a few nights ago. For more information go to the Goblinaid facebook page. 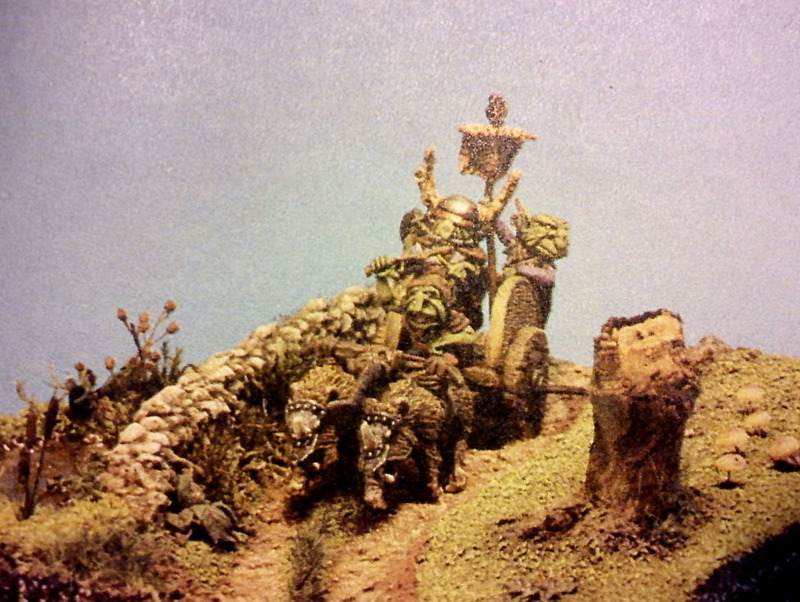 Instead let's wind the clock back to 1985, where "Best Diorama" at the Citadel Open Day - which would eventually grow into the Golden Demon painting competition - was won by a young Kevin Adams, which would be reported in the June issue of White Dwarf (#66) by wargaming and miniatures stalwarts Joe Dever and Gary Chalks regular miniatures column Tabletop Heroes, which was eagerly devoured by the young Zhu. 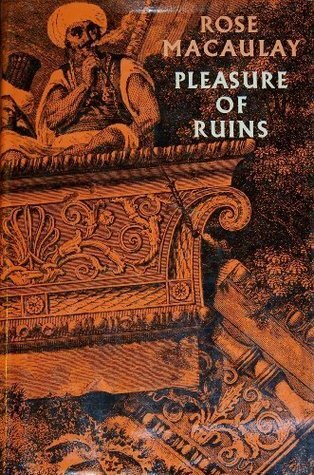 This is the first appearance of the Adams work in print, and it is the attention to detail in the piece and the naturalism of the vegetation both being given duly high praise by Messrs. Dever & Chalk - and rightly so - it oozes pastoral charm, a rural idyll broken only by the squeal of hogs, the clanking of wheels and the maniacal laughter of goblins! 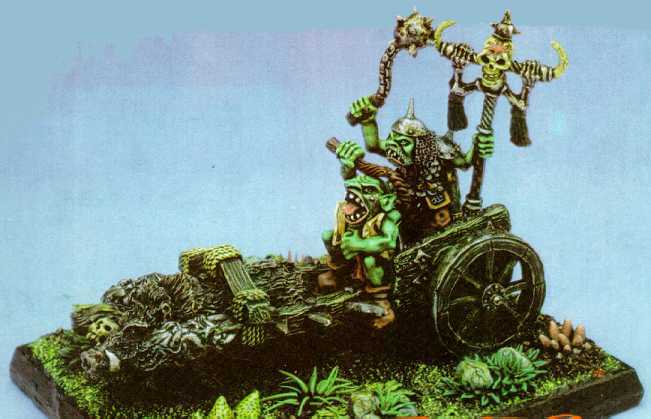 And after that, Kev evidently got a job sculpting orcs and goblins at Citadel Miniatures and painting them green, doing his own version of the Goblin Kings Chariot, some amazing snotlings, several war machines, and earning himself the title "Goblinmaster". 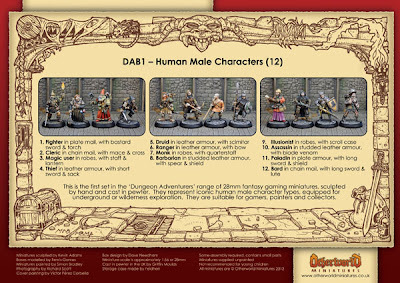 This year otherworld released the first of a series of dungeon adventurers, including the DAB1 boxed set, entirely sculpted by Kevin Adams, and featuring packaging design by me, which is something the Tabletop Heroes reading Zhu of 1985 would have been as thoroughly chuffed about as much as the Zhu of 2013 is. Various luminaries in the wargaming community have banded together to raise funds to help Kev get through this under the banner of Goblinaid which is fantastic, and also typical of the family spirit of the gaming community. Kev, you're a legend, don't let the bastards get you down. Hmm, bit of a Lost World theme there, so best mention some of the classic D&D style monsters Otherworld are known for. Of course, there may be a historical precedent that both these designs are drawing from and the designs are not 100% matches, but the similarities are striking. 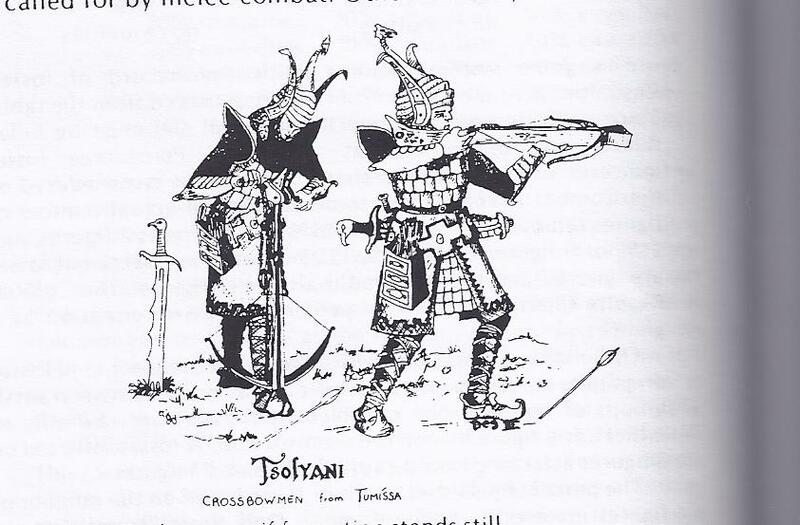 Were GW producing Tekumel proxies, is there a historical precedent for both these designs, or just coincidence? 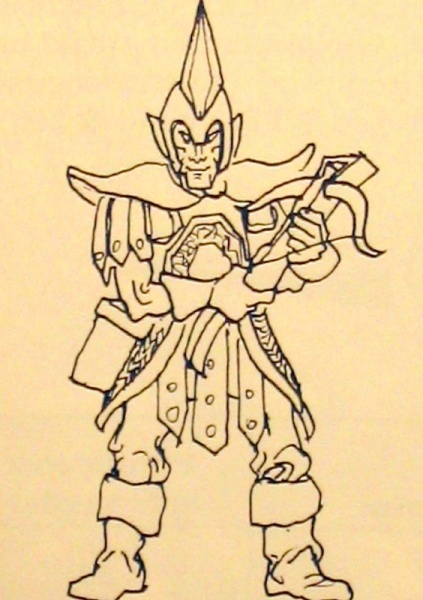 The Oubliettes 1978 style character sheets have arrived, so I grabbed a pan, a pencil, and rolled up a Gnomish Fighter! How was using the sheet in character creation? Well it's nicely laid out and very clear. Some of the attributes aren't in the same order as they're displayed in the DMG, so I did make a few mistakes rolling through, but I consoled myself I was having a near genuine 1970s British Old School experience. The quality of the paper (not too heavy or light, 125gsm I'm guessing, but I'm bad at guessing paper weights) is good and the print is matte, flat and black, with super crispy edges. All in all very nice, and I'm really happy with them. OK, and finally plug for Peters A7, 7mm graph paper pad, dubbed The Pad of Geomorphic Intent, currently funded at £441 with 62 Backers. 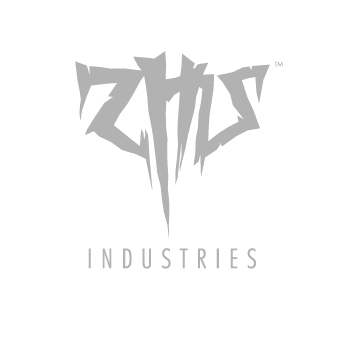 This season, we pay homage to one of the one of the finest pieces of graphic design to have graced a gaming product. Ever. 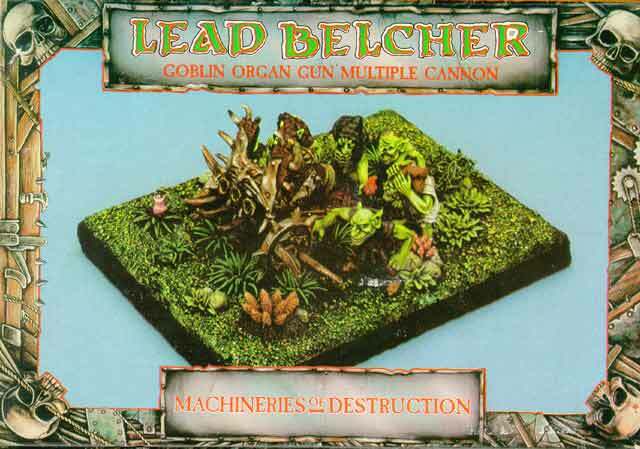 And celebrate 25 years of the seminal manual of dice-rolling for mature readers that is The Realm of Chaos. A grimy and baroque design classic, which has held it's own in the hearts of gamers for over quarter of a century. Our inspiration for Spring and Summer 2013, is, of course, the classic Realm of Chaos masthead from the demented pen of John Blanche. The marque has a dark and somewhat obscure history. 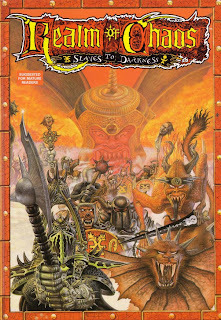 It made it's debut appearance gracing the front cover of the very first edition of Realms of Chaos: Slaves to Darkness to wide acclaim. 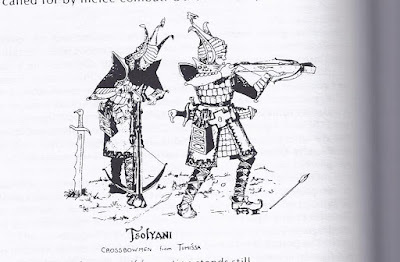 This style was also seen in several White Dwarf advertisements and "Illuminations" articles for the difficult second book in the Realms of Chaos duology, the evocatively sub-titled Lost and the Damned. Yet this innovative styling was eventually left on the cutting room floor. 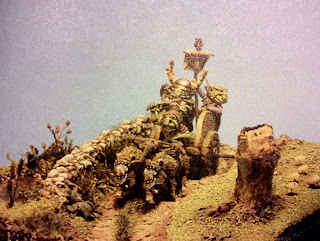 By late 1989 Realms of Chaos was swiftly becoming something of a multi-media project, nay a cultural phenomenon: as much an exquisite nightmare filled thematic fantasy art book as an exercise in random number generation and an extended meditation on the dehumanising effects of conflict. 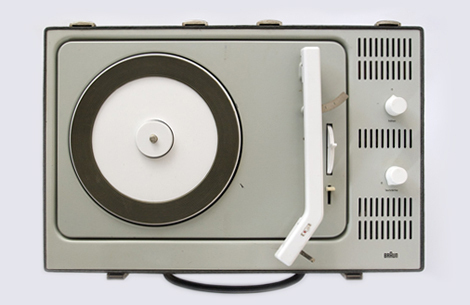 The Realms of Chaos gradually expanded to encompass all the major art-forms of western civilisation, from game to dramatic performance through role-play, costume and fashion, to sculpture and the visual arts until finally music came under its sway. 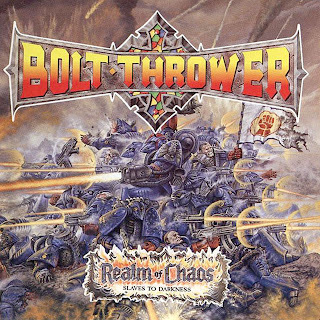 The expression of Chaos was to emerge in the gatefold sleeve concept album to go along with it, by seminal grindcore / war-metal band Bolt Thrower. The "volcano" logo also appears on the second edition of Slaves to Darkness and also on the Lost and the Damned. It's much glossier, neater and ultimately safer. The original could be said to be slightly hard to read, but as an expression of all that the Realms of Chaos stands for; destruction, mutation, randomness, magic and war, no single graphic or illustration can claim to be as iconic or definitive. 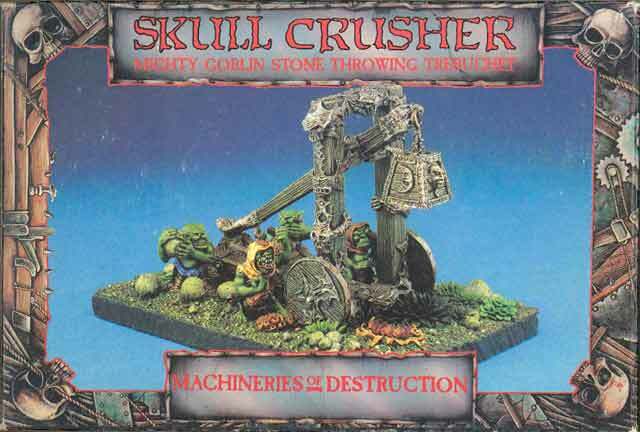 Perhaps we are seeing Games Workshops final turning away from the spiky hard black edged underground aesthetic, from the baroque and grimy towards a more commercial, colourful family friendly aesthetic that would shortly dominate the primary coloured box sets of monopose plastic armies of Warhammer for a generation through 4th and 5th editions, before the final return and ultimate triumph of Grim Dark. Bolt Thrower however, were not content to leave the marque to languish festering in its grave, and resurrected the characeristic calligraphic stylings (no doubt through some arcane and depraved necromantic rite) for various pieces of merchandise over the years and more recently for their charity gig "Bolt Fest" in 2012. But what is myth, but a history of a time to come? Please note, all fulfillment is done by Spreadshirt, and they accept 15-day returns. I do not keep stock of these items at all, and please do drop a note to say if you've ordered one, as they pass over no customer details at all. It's an album cover concept for a compilation concept album that doesn't exist. 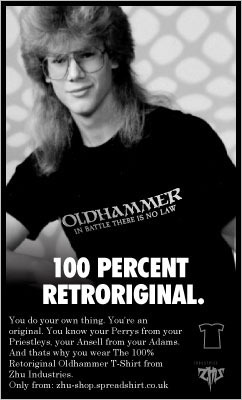 In the true spirit of '88-89, I've started putting together collective Oldhammer Soundtrack Spotify Mixtape a rather anti-social mix of heavy metal, grindcore, punk, space-rock, techno, hip-hop and pop music, from the likes of Motorhead, Hawkwind, Bolt Thrower, Napalm Death, Toyah, Grand Master Flash. 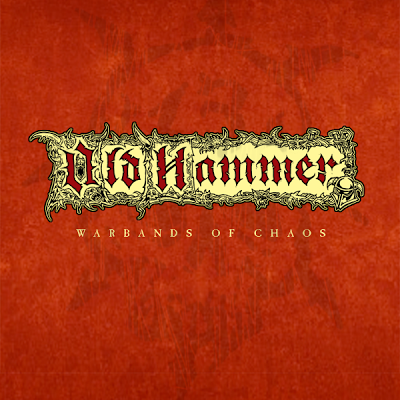 The concept is either music directly inspired by Warhammer, music around Warhammer themes, or music that you think may have inspired Warhammer. If you're on Spotify, i've set it as a collaborative play-list so you can add to it if you like, please do, or send me tracks (cheers Warlord Paul - Sabbath! Maiden!) and I'll add them in. 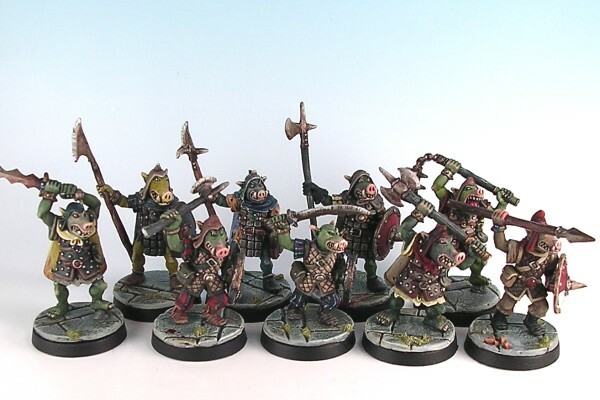 Another potential theme for my Khaös warband. This is a kind of childrens picture-book theme. Brian Jaques, Kenneth Grahame, C.S. Lewis, Allison Uttley, Beatrix Potter. Just the sort of thing Realms of Chaos was obviously intended for! I think the Splintered Light Foxes and Squirrels by Bob Olley speak for themselves. Cute! 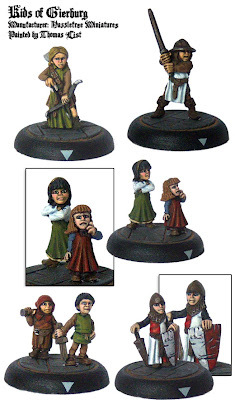 Paint up the Otherworld wolves in red and white as giant foxes to tie in the whole warband together thematically. Of course, these would be very large, very well fed foxes. There are a lot of modern wolf types, but they do all tend to be snarling tooth and claw, whereas these fellas just look like animals, and well suited for a kid friendly set. Hasselfrees Medieval Kids for the 3 humans. to tie into the fox theme, perhaps general earth-tones with orange/red and white accents, perhaps orange red hair. Overall, an excuse to get some figures I've wanted for ages anyway and just haven't finished off any of my other mini projects at all, so have kept putting off buying them and a chance support some independant miniature companies in the name of Oldhammerism. Total cost £75, plus postagey bits.